The spin-attack led by Mehidy Hasan powered Bangladesh to their first series win against the Windies after they won the second and final Test by an innings and 184 runs at Sher-e-Bangla National Cricket Stadium inside three days. 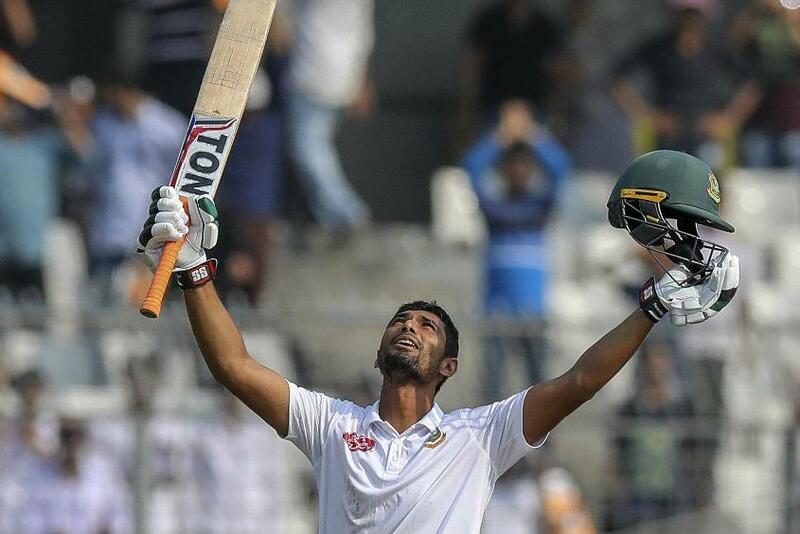 Mehidy was the pick of the bowlers for Bangladesh as he picked up his career-best match figures of 12/117 – his 7/58 in the first innings was also a personal best – on Sunday, 2 December. His brilliant haul in the first innings helped dismiss the Windies for just 111, and he added 5/59 in the second as the Windies capitulated for 213. He was ably supported by Shakib Al Hasan, the captain, and Taijul Islam, who shared seven wickets between them in the match as Bangladesh completed their first innings victory in Tests. The Windies started the third day on 75/5 in the first innings in response to Bangladesh's 508 with Hetmyer on 32 and Shane Dowrich on 17. Mehidy, who had picked up three wickets on the second day, ran through the visitors' middle-order. He first sent Hetmyer caught and bowled for 39 and went on to dismiss Devendra Bishoo and Kemar Roach in his next two overs. He then had Dowrich, who scored 37, trapped in front to complete his haul. It took only one hour for the Bangladesh spinners to wrap-up the Windies innings as Shakib picked up the last wicket of Shermon Lewis for a duck. With a deficit of 397, Bangladesh made the visitors to follow-on and the Windies were once again tormented by the spinners, Shakib and Mehidy, as they sent Kraigg Brathwaite and Kieran Powell, the openers, back to the pavilion to reduce them to 14/2 inside the first four overs of the second innings. Taijul, who stared with the ball in the Chittagong Test, joined the party as he further reduced the visitors to 46/4 by lunch. 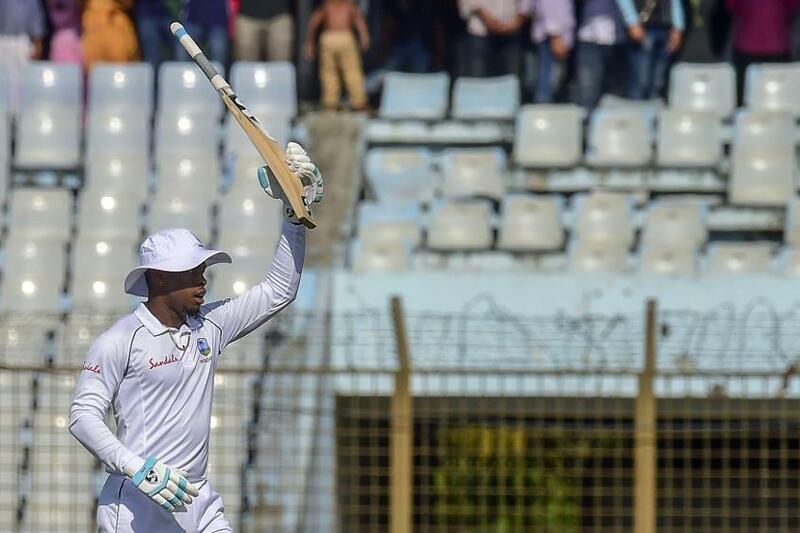 Shai Hope and Hetmyer showed some resistance in the second session as the duo added 56 runs for the fifth wicket, before Hope pulled one straight to Shakib at mid-wicket off Mehidy. It's raining sixes from Hetmyer's blade! The youngster is playing a lone hand, smashing three sixes off a Shakib Al Hasan over, taking his tally to eight so far! Bangladesh are still ahead, needing four wickets for a win. With wickets falling at one end, Hetmyer opened up and brought up his fourth Test half-century off just 58 balls. He looked determined to keep the runs flowing in with his mighty sixes. He went on to score a fighting 93 off just 92 balls with just one four and nine sixes, but failed to reach the three-digit mark as he chipped Mehidy into the hands of the long-off fielder, Mohammad Mithun, who made no mistake. Lewis, who scored a 43-ball 20, and Roach, who remained unbeaten on 37, took their team past the 200-run mark before the innings ended, Bangladesh claiming their first series win over the Windies. Bangladesh and the Windies will next play three one-day internationals followed as many Twenty20 Internationals.